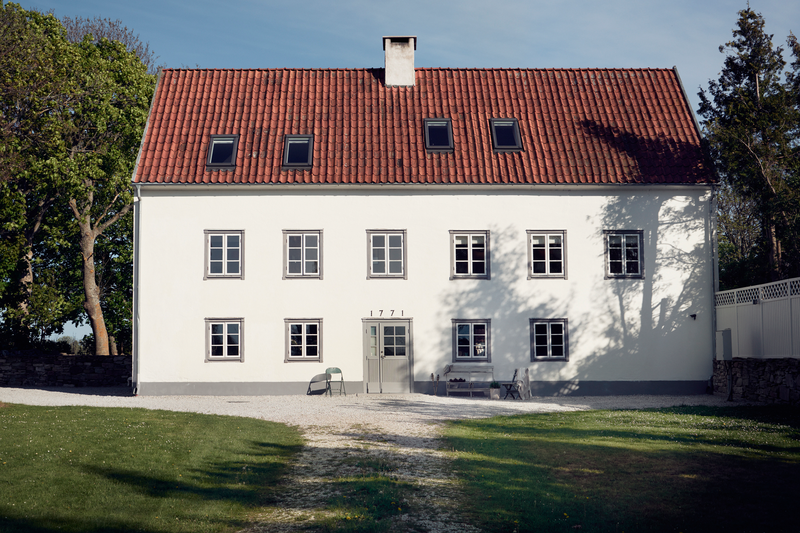 This is a beautiful and gently renovated building from 1770. There's a sea view and also a classic feeling of Gotland through the materials. Entrance with open plan to a large renovated kitchen with complete mechanical equipment, space for large dining table and exit to several patios at the back with morning sun. Living room with two exits to the garden and two windows facing the sea side. Moody fireplace centrally located. Throughout the limestone floor with underfloor heating and whitewashed walls. Three familiar entrance doors to the back of the garden. On the second floor is the master bedroom (about 48 sqm) with fireplace. The room has an abundant natural light through windows in the two compass directions with lake views. Own large bathroom with two windows facing the garden and the water and the classic walk in closet. Bedroom two is at an angle and with many windows. Bathroom with shower, toilet and washstand. Upper level with through veluxfönster and airy loft feeling, housed in two large rooms with through skylights and a possibility for storage. Fully tiled bathroom with bath, wc and wash-stand. The whole house is probably due renovated between 2010 – 2013 and includes both interior and exterior renovations. Measurement and inspection published V.23. Access can be made this summer, or by appointment.